Canadel are a family run operation that specialize in home furnishings. The values of family businesses have been with them from the start, focused on achieving quality through hard work, this can be seen in their products. In our Canadel Furniture reviews you will learn all about Canadel furniture history, the types of furniture they offer, the quality of their furniture, and their furniture warranty information. Canadel have been around for awhile and have been manufacturing furniture since 1982. In the last 35 years they’ve managed to diversify their product range and grow their marketshare. They now sell across the country and even internationally and are a well known household brand. 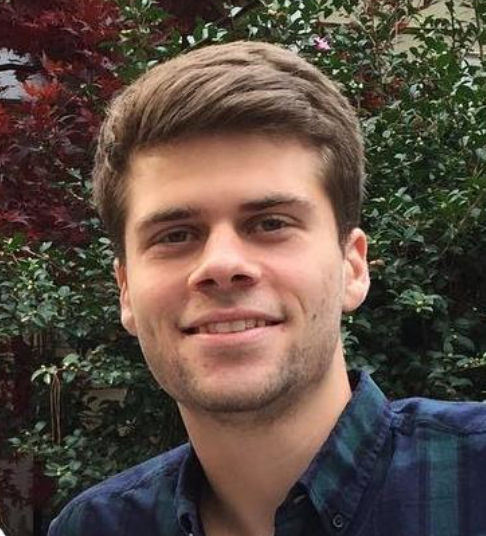 Despite their growth Canadel have stuck to their principles. They take pride in what they do and always strive to do more. Each of their units is handmade and assembled by hand. This personal approach means consistent quality which isn’t seen in some other brands. Despite their long history the vision hasn’t changed. They offer personalised solutions to problems in the home by creating individual and unique solutions. The result is furniture which is perfect for every home. Canadel produce a wide range of furniture for the whole home. 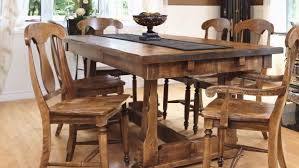 They have a whole range of dining room furniture including: Tables, Chairs, Stools, Benches, Buffets and Kitchen Islands. Alongside the dining room collection is their living room product range. This includes: Coffee Tables, End Tables, Sofa Tables, Media Units and Ottomans. As well as dining room and living room products, Canadel furniture also produce accessories for all around the home. If you’re looking to start making the most of your space in an effective and stylish way then you should check out the full range. Each of these has been uniquely designed to suit a particular style of home. They all use specific materials and colouring you achieve this effect, but with these 5 styles pretty much everyone is covered. This choice will be based on your existing home decor and your preferences but it’s always worth checking out the full ranges available. Again each of these have been designed with a specific look in mind. They work well together and the price tag on each collection is different, catering for a range of budgets. The choice doesn’t end there. Canadel have over 30 different sizes to choose from, allowing any space to be used effectively. The different designs within each product let you customise how they can be used, tables can be made for as small as 2 people or as many as 12! Canadel offer 40 different wood types and 3 different finishes to their product. This gives you a massive choice of colour and the texture of your pieces. There is no limit and you can choose the best colouring to complement your home. Finally, Canadel are all about utility. They offer a range of different storage options which can be built into your furniture. This lets you store things inside and maximise the space in your home. Overall Canadel have created a product range that is both useful and stylish. They show a deep understanding of the issues in a modern busy home and have worked with experts to create effective and affordable solutions. 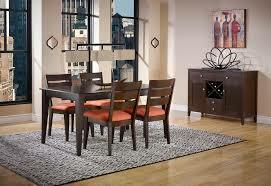 Another good option for dining furnishing is Klaussner, because they have quality and reliable pieces. Canadel are a quality focused company who refuse to take shortcuts. They have over 700 skilled professionals on the payroll who create and quality check every single unit. This means a consistent high level of product with very few errors. 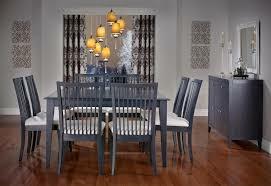 Related to durability and quality, I believe that Canadel and Vaughan Bassett furniture are similar quality wise. The Canadel quality begins with their materials. Hardwood is used in almost all of their products, with birch specifically used in almost every unit. Hardwood is much more durable and sturdy and allows for a higher level of quality in each unit. It means your furniture will last longer and stand the test of time, even in hectic households. The wood used is always sourced locally. This is to ensure the material is consistent and from trusted providers. Canadel are passionate about woodwork and know how to use hardwood effectively. The result is good quality pieces that are better than a lot of competitors. Canadel stand behind the quality of their furniture by offering a warranty on their products. Canadel offer a 1 year warranty on all of their products from the date of purchase. This covers all workmanship and defects and ensures that they will be repaired or replaced. Whether you’re buying direct or you’re going through a dealership it’s always worth talking through the warranty with your sales agent. That way if something does go wrong you’ll know exactly where you stand. 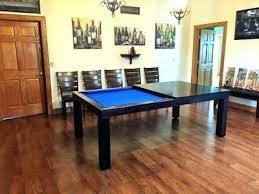 “I have had a Canadel table for a few years and it has held up very well. I have found that the surface did not scratch especially easily. Overall the quality is excellent and it is very well made.” - Johnny D.
“The finish in the table showed scuffs immediately and were not able to be wiped off. All minor scratches and scuffs can be seen looking down at the table” - Ceasar A. This is obviously not ideal and other people have been critical of the finishes on Canadel products. It’s worth double checking with your dealer about what’s covered in the warranty and maybe finding out the best way to maintain your products if you decide to choose Canadel. One of the main criticisms of Canadel furniture is in the lack of variety. While Canadel do have a lot of products for sale, it certainly isn’t as many as some other companies. However what they do have seems to be pretty good in terms of style and quality. If you are looking for a sense of variety with similar price and quality then Vanguard furniture's variety will be a great option for you! Canadel is a mid upper line of furniture sold in the U.S which means it has some real strengths. Firstly it’s of a good consistent quality. All their products are American made by skilled workers, this means much higher quality than those brands who have outsourced to Asia. The local materials help keep the furniture consistent too. As a mid upper line of furniture that means it isn’t exactly cheap. There are a lot of different furniture makers who are more affordable but they offer a lot less value and quality. In the furniture industry you do tend to get what you pay for and even though it might cost a little more, the long term investment can pay off in the long run. 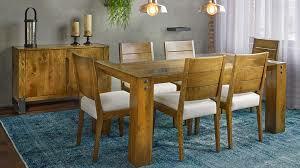 If you are interested in a cheaper dining room furnishing company then I would suggest Cindy Crawford. Overall Canadel have shown themselves to know their way around furniture in their impressive product line. The consistent quality makes them a good choice for any home.